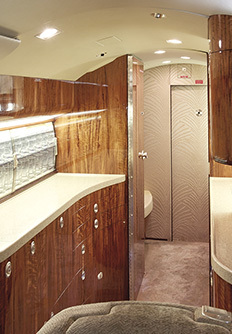 Private air charter affords the business traveler the luxury of time well spent. At White Cloud Charter LLC, we offer you just that: time well spent. We understand how valuable your time is. In today's business environment, smart use of assets is key for success. A corporate aircraft, whether owned or chartered, can eliminate all the negative aspects of business travel. You can operate according to your personal schedule; there are no lines, no crowded airline terminals and no lost luggage. Whether you have a multi-city business trip or a long overdue vacation, we are committed to providing you with a travel experience that exceeds your expectations. For the frequent traveler, we offer the VIP Jet card. The VIP Jet card, allows clients to purchase blocks of flight time in increments of 25 hours at a discounted rate. Contact the office directly to inquire about this valued program. White Cloud Charter LLC offers charter flights directly to the island of Anguilla and the CuisinArt Golf Resort & Spa. Contact Us for more information.